Alcohol dependence is a severe form of Alcohol Use Disorder (AUD). 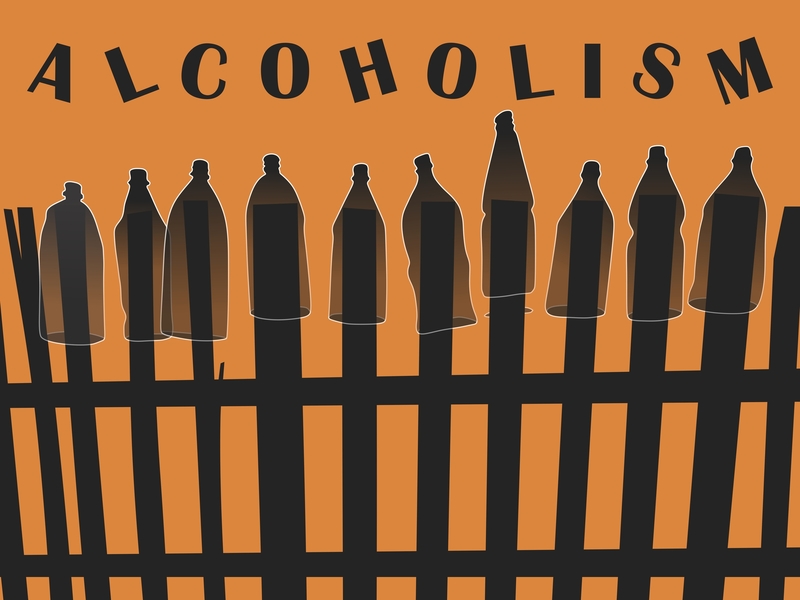 Alcohol dependence is characterized by the development of Alcohol Withdrawal Syndrome (AWS) after a period of abstinence. The spectrum of symptoms associated with Alcohol Withdrawal Syndrome (AWS) ranges from such minor symptoms as insomnia and tremulousness to severe complications, such as withdrawal seizures and delirium tremens. A medical history and physician examination are usually sufficient to accurately diagnose AWS. Although AWS may be complex, careful evaluation (Health Questionnaire, Medical History, CIWA) and available treatments (pharmacological and non-pharmacological) should ensure a safe detoxification. Safety and injury prevention are major priorities in detoxification treatment. Many alcoholics are malnourished, causing folate, thiamine, or vitamin B12 deficiency, requiring respective vitamin supplementation. When necessary, a physician may direct weaning the patient from alcohol by substituting it with pharmacological agents and then tapering them off. This process minimizes alcohol withdrawal, prevents complications and hastens the process of abstinence in a more humane way. History shows that improperly treated AWS may develop into higher gradient health problems such as hypertension, dehydration, seizures or worse. Detoxification treatment offers the expectation of recovery, because it mitigates many of the risks associated with withdrawal syndrome. If you or someone you know wants to quit drinking, professional healthcare services is generally warranted. Alcoholics Anonymous (AA) and other 12-step programs provide peer support for people quitting or cutting back on their drinking. Mutual-support groups may offer a valuable added layer of support especially when combined with treatment led by health professionals. However, since peer led supports groups are anonymous, it is difficult for researchers to determine their success rates compared with those led by health professionals. For anyone thinking about treatment, talking to a primary care physician is an important first step — he or she can be a good source for treatment referrals and medications. Most patients undergoing alcohol withdrawal can be treated safely and effectively with pharmacologic treatment. The scientific evidence strongly favors the use of benzodiazepines as the agent of choice for treating alcohol withdrawal. They may be administered on a fixed or symptom-triggered schedule. Benzodiazepines reduce the risk of severe alcohol withdrawal syndromes, such as seizures or Delirium Tremens (DT’s). Among the benzodiazepines, chlordiazepoxide has a slight advantage over the other benzodiazepines or anticonvulsants. Anticonvulsants have not been proven to be better than benzodiazepines. They may be considered in mild withdrawal due to their advantages of lower sedation and lower chances of dependence or abuse potential. However, anti-convulsants may not have the advantage of preventing seizures or DT’s and their use is not recommended in severe withdrawal states. Inpatient alcohol detoxification treatment provides one of the safest settings to overcome alcohol dependence. Inpatient medically monitored treatment ensures that recovering alcoholics are carefully monitored and appropriately supported. It also provides better continuity of care especially patients who begin treatment with Med Detox. Furthermore, inpatient medically monitored treatment separates the drinker from alcohol-related social and environmental stimuli that might otherwise increase the risk of relapse. Chronic alcohol use is associated with abnormal magnesium metabolism. The result is often that those with alcoholic neuropathy and presenting with severe alcohol withdrawal symptoms are more likely to show low serum magnesium levels. Oral magnesium supplementation may benefit such patients by reducing the severity and duration of alcohol withdrawal. All patients in alcohol withdrawal should receive at least 250 mg thiamine once a day for the first 3-5 days whereas for those with suspected severe alcohol withdrawals, thiamine 500 mg/day for 3-5 days is advised. If there is clinical improvement the supplementation is continued for a total of 2 weeks.